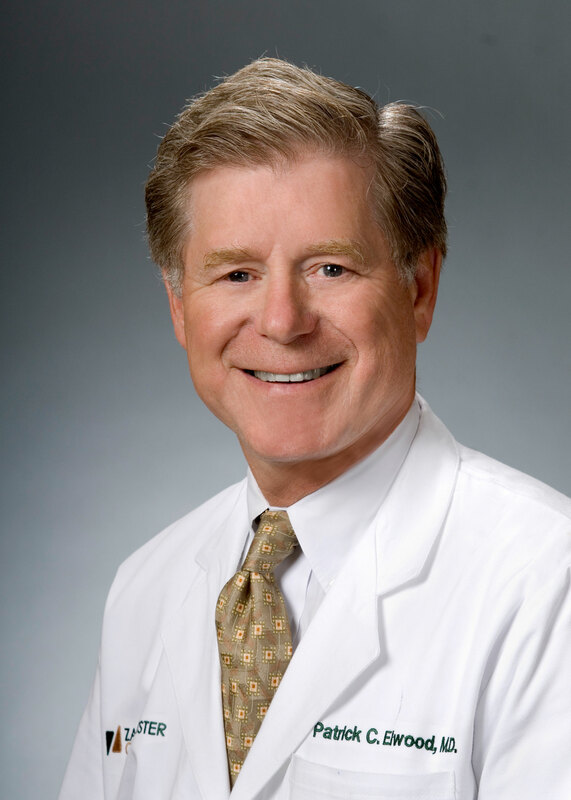 / About Us / Our Team / Physicians / Patrick C. Elwood, M.D. After receiving his medical degree from the University of Nebraska School of Medicine, Dr. Elwood completed his internship at Wilford Hall Medical Center, Lackland Air Force Base, then attended Flight Surgeons School at Randolph Air Force Base. He received his Internal Medicine residency at the University of Nebraska Medical Center, followed by an additional year as chief resident. He completed his fellowship in the Hematology-Oncology Division at the University of Colorado Health Sciences Center. Dr. Elwood is board certified in Hematology, Medical Oncology and Internal Medicine by The American Board of Internal Medicine. Dr. Elwood served in the United States Air Force as a flight surgeon and later on active duty in Public Health Service. From 1994 to 2000, he was Lead Clinical Investigator and served on the attending staff in the Lymphoma Clinic at the Developmental Chemotherapy Section/National Cancer Institute/National Institutes of Health. Dr. Elwood is the recipient of the EEO Officer’s Recognition Award, Public Health Service Commendation Medal, Public Health Service Bicentennial Unit Commendation, and the National Research Service Award. He is a member of the American Society of Hematology, American Association for the Advancement of Science, Community Oncology Alliance, Columbus Medical Association, Ohio State Medical Association, the Ohio Hematology Oncology Society and the American Society of Clinical Oncology.